GraphQL is a powerful and popular query language for APIs that's becoming more widely adopted for its useful type system. 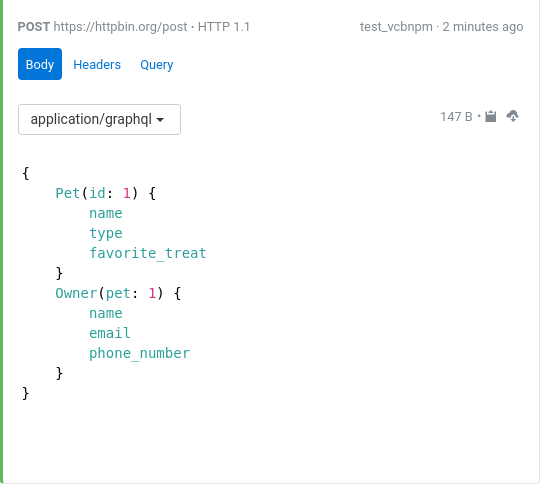 Assertible now supports writing and viewing GraphQL queries to make testing your API easier. We want to enable teams and developers to adopt new technologies and feel confident that they can have a reliable monitoring and automated testing infrastructure to catch issues. Supporting GraphQL in Assertible's response body editor has been a popular feature request recently. We just added support for writing and viewing GraphQL; learn what's new and how it works below. 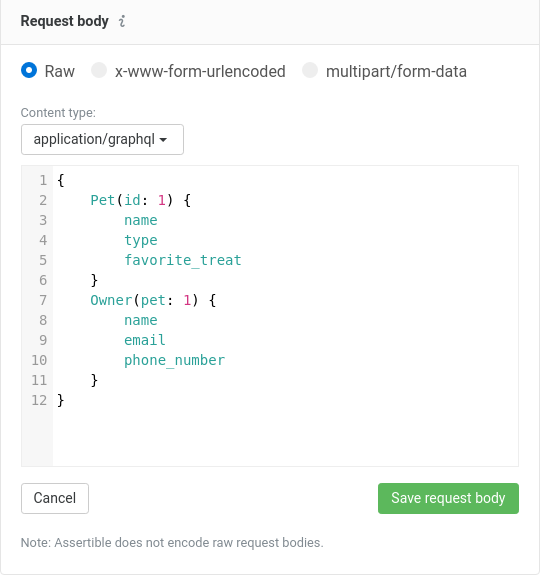 You can write or copy your GraphQL queries in the response body editor. The editor fully supports syntax highlighting, autocompleting brackets and parentheses, and will display inline parsing errors. If you have an idea for something we can add to Assertible to help support your use-case or make things easier - we would love to talk with you. Send us a message or reach out on Twitter any time.